Please note this template is provided for guidance only. 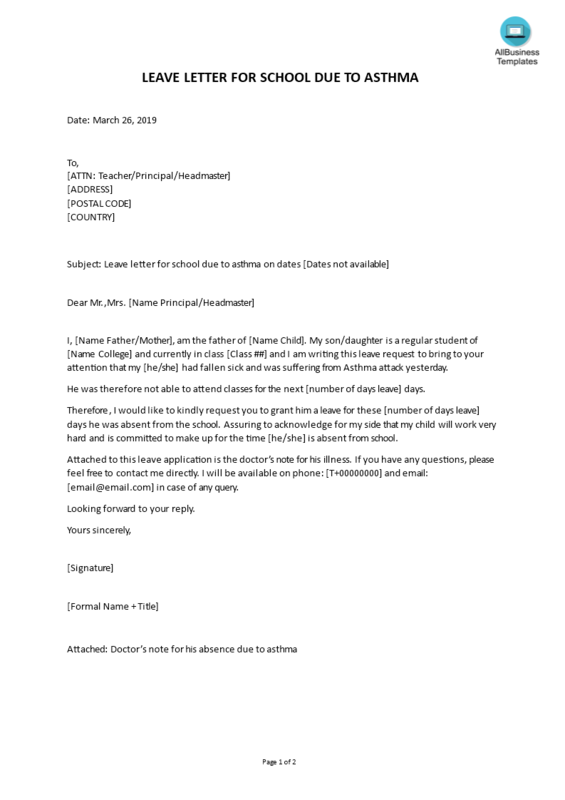 Download this Leave letter for school due to asthma template to write a perfect (and personalized) letter, edited to fit your personal situation. If this letter does not fit your requirements, please also have a look at the topic: Leave Letter Templates.